Many educators, politicians, and parents believe the instruction of mathematics in the United States is in crisis mode, and has been for some time. Indeed, recent test results show that American 15-year-olds were outperformed by 29 other countries on math testing scores. 1 To help counter this crisis, educational, civic, and business leaders worked together to develop the Common Core State Standards (CCSS). 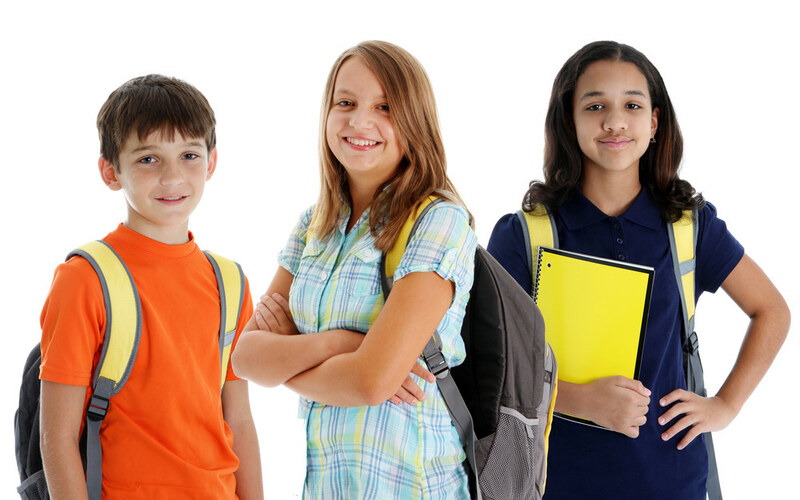 The 2014-15 school year will be important for Common Core as the standards are fully implemented in many remaining states of the 43 (and the District of Columbia) that have embraced their adoption. CCSS has its advocates as well as its critics, and the debate on its merits has become more pronounced in recent months. Irrespective of the political differences with Common Core, its concepts are critical for students because the standards help with understanding the foundational principles of how math works. This guide steers clear of most of the controversy surrounding CCSS and primarily focuses upon the math your sixthgrader will encounter. A stated objective of Common Core is to standardize academic guidelines nationwide. In other words, what sixth-graders are learning in math in one state should be the same as what students of the same age are learning in another state. The curricula may vary between these two states, but the general concepts behind them are similar. This approach is intended to replace wildly differing guidelines among different states, thus eliminating (in theory) inconsistent test scores and other metrics that gauge student success. An increased focus on math would seem to include a wider variety of topics and concepts being taught at every grade level, including sixth grade. However, CCSS actually calls for fewer topics at each grade level. The Common Core approach (which is clearly influenced by so-called “Singapore Math”—an educational initiative that promotes mastery instead of memorization) goes against many state standards, which mandate a “mile-wide, inch-deep” curriculum in which children are being taught so much in a relatively short span of time that they aren’t effectively becoming proficient in the concepts they truly need to succeed at the next level. Hence, CCSS works to establish an incredibly thorough foundation not only for the math concepts in future grades, but also toward practical application for a lifetime. For sixth grade, Common Core’s focus includes ratios, division of fractions, negative numbers, and variables. Ultimately, this focus will enable children to develop rigor in reallife situations by developing a base of conceptual understanding and procedural fluency. Students not only apply their proficiency of multiplication and division that they learned in earlier grades, they also use fractions extensively to solve problems about ratios and rates (e.g, if a recipe uses 4 cups of flour to make 20 cookies, how many cups are needed to make 5 cookies?). Negative numbers are introduced, with an emphasis on negative rational numbers, negative integers, and absolute value. In the last of the four basic operations they will apply to fractional equations, students learn to divide fractions by fractions. 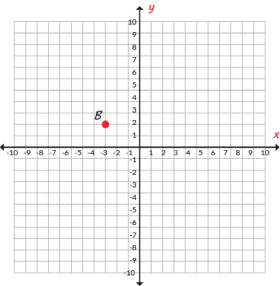 The graph system, on which students previously were working with only one quadrant, is expanded to include all four quadrants on the coordinate plane. In what may be the strongest preview of future algebra, students will learn to solve one-step equations using variables (e.g, x+10=17, solve for x). Sixth-graders will also rewrite equations in equivalent forms and understand that a solution is the values of the variables that make an equation true. As they develop their ability to think statistically, sixth-graders will learn about mean, median, and mode, and they will start describing data distributions. They will also learn about measures and variability and the effect of outliers. From the four critical areas of focus discussed in the previous section, Common Core also further clarifies the skills sixth-graders should know by the end of the school year. For example, the fluency requirement at this level is multi-digit division and multi-digit operations with decimals. The five topics presented here, taken directly from CCSS itself, 2 include some specifics on what kids will be taught in Grade 6. Understand ratio concepts and use ratio reasoning to solve problems. The concept of ratios will be taught; for example, every soccer team in the league has 12 players, so the ratio of players to teams is 12:1. From this concept is introduced the idea that a unit rate of a ratio a:b is the same as a/b (e.g., if the soccer team has 2 goalkeepers out of its 12 players, 1/6 of the team are goalies). Once ratios are understood, students will solve real-world math problems including ratios of time and speed, unit pricing, percentages, and measurement. Gain familiarity with factors and multiples. Prime numbers are also introduced. Generate and analyze patterns The idea here is that fourth-graders will recognize the patterns apparent in the four basic math operations, as well as create patterns based on a given rule. Apply and extend previous understandings of multiplication and division to divide fractions by fractions. This is exactly how it sounds: Students will become proficient in dividing fractions by fractions. Then, they will apply this concept to word problems. Compute fluently with multi-digit numbers and find common factors and multiples. By the end of sixth grade, students complete their fluency of the four basic operations and will be able to add, subtract, multiply, or divide any multi-digit number, either whole or including decimals. Also, they will learn to find the greatest common factor (GCF) of two numbers of 100 or less and the least common multiple (LCM) of two numbers not greater than 12. Apply and extend previous understandings of numbers to the system of rational numbers. The concept of negative numbers are emphasized, particularly in real-world quantities (e.g., temperature, budgets, and so on). Rational numbers and absolute value are introduced, as well as the role of 0 on the number line. Finally, word problems will include graphing points in all four quadrants of a coordinate plane. Students will begin to identify and evaluate expressions that replace letters for numbers (e.g., add x to 8 to get x + 8). They will identify parts of an expression using the terms they have learned from previous grades (e.g., quotient, factor, sum, and so on). They will create and evaluate expressions using whole-number exponents. They will apply the order of operations to equations, especially those without parentheses. They will apply the distributive property to reach equivalent equations. For example, 2 (x + 4) is the same as 2x + 8. They will be able to identify when equations are equivalent. For example, x + x + 2x is equivalent to 5x - x. Reason about and solve one-variable equations and inequalities. With these algebraic concepts down, sixth-graders will begin to solve simple equations and inequalities that include one variable. They will also use substitution to determine if an equation is true. Represent and analyze quantitative relationships between dependent and independent variables. Students will solve problems that use variables to represent two quantities that change in relationship to one another. For example, how far would a train that goes 50 miles per hour travel in a certain number of hours? If d represents distance and t equals time, then d = 50t. The equation can change if the train goes faster or slower. Students will solve for the area of right triangles, special quadrilaterals, and other polygons by composing the shapes into rectangles or decomposing them into triangles and other shapes. The will learn how to find the volume of a right prism. They will draw polygons in the coordinate plane based on given vertices, and they will apply this concept to word problems. They will represent three-dimensional problems using nets of rectangles and triangles to find surface area. 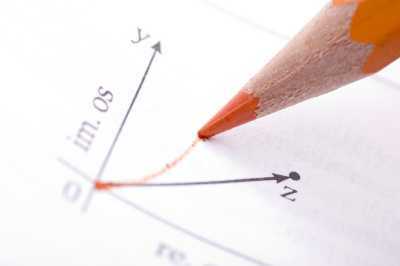 Develop understanding of statistical variability. Students will be taught the definition of a statistical question as one that anticipates variability (for example, asking someone’s age with the knowledge the answer could be within a range of numbers). Also, they will learn that data collected to answer a statistical question has a center (mean, median, and mode), a spread (interquartile range, mean absolute deviation, and outliers), and an overall shape. Summarize and describe distributions. Sixth-graders will display data on a number line, including dot plots, histograms, and box plots. Furthermore, they will summarize data sets in relation to context, including by reporting the number of observations, describing the nature of the attribute (e.g., how it was measured), by mean and median, and by identifying patterns in relation to the center. Common Core aims to improve educational performance and standardize what students should learn at every grade in preparation for a lifetime of application, but it does not set curricula, nor does it direct how teachers should teach. As with any educational reform, some teachers, schools, and school districts will struggle with CCSS, some will seamlessly adapt, and some will thrive. As a parent, your responsibility is to monitor what your sixth-grader is learning, discover what is working or isn’t working for your child, and to communicate with his or her teacher—and to accept that your children’s math instruction does differ from what you learned when you were younger, or even what they might have learned last year. The transition can be a little daunting for parent and student alike, but that’s not a product of the standard itself. Common Core simply takes a new, more pointed approach to improving the quality of math instruction in this country. Finally, CCSS links standards from grade to grade so that the skills learned at one level translate into the tools they need to learn at the next level. This coherence would seem an obvious educational approach, but often, there is no link—students are taught a skill in sixth grade that might not be used (and might have to be re-taught) until eighth. Each new concept in Common Core is an extension of a previous, already learned concept. In addition to the grade-specific standards it sets forth, Common Core also emphasizes eight “Standards of Mathematical Practice” that teachers at all levels are encouraged to develop in their students.3 These eight practices, designed to improve student performance, are described here, with added information on how they apply to sixth-graders. Make sense of problems and persevere in solving them. Students explain the problem to themselves and determine ways they can reach a solution. Then, they work at the problem until it’s solved. This CCSS math practice encourages students to take their time to read and try understanding the problem, emphasizing that the process is ultimately important even if it doesn’t result in a correct answer. Sixth-graders, for example, might create a table of numbered pairs to better understand a ratio. Students this age will also be encouraged to visualize the problem in order to better reach a solution. Reason abstractly and quantitatively Students decontextualize and contextualize problems. By decontextualizing, they break down the problem into anything other than the standard operation. By contextualizing, they apply math into problems that seemingly have none. For example, sixth-graders may decontextualize by drawing a number line to solve an equation involving negative numbers. Kids this age who are contextualizing may add variables into an equation that doesn’t otherwise have any. Construct viable arguments and critique the reasoning of others Students use their acquired math knowledge and previous results to explain or critique their work or the work of others. Sixth-graders may be asked to work in teams to solve a problem or set of problems, then present their work to the class. Model with mathematics This is just like it sounds: Students use math to solve real-world problems. 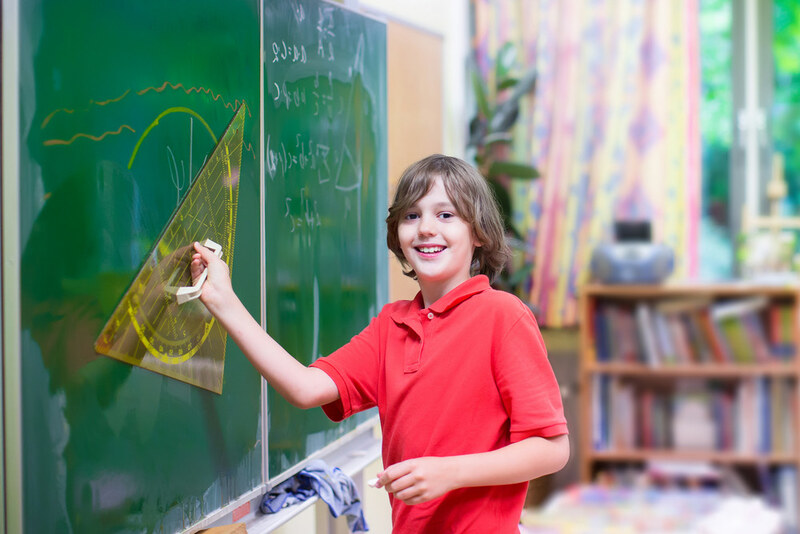 Sixth-graders can be challenged to take the math skills they have learned into their own lives. For example, a student may use ratios and variable equations to determine how many lawns could be mowed in 30 hours if it takes 6 hours to mow 4 lawns. Use appropriate tools strategically Another self-explanatory practice: Students learn and determine which tools are best for the math problem at hand. Fourth-graders might be directed to fgure out the perimeter of their classroom and be given a choice of a yardstick, a 6-inch ruler, or a tape measurer to achieve that goal. They then decide which will work best toward a solution. Attend to precision Students strive to be exact and meticulous—period. A great thing about ratios and variable equations: Answers can be easily and efficiently double-checked, and sixth-graders will be expected to review an answer to ensure they were correct. Here’s another example of the importance of precision: Students can use the distributive property to express the sum of two whole numbers between 1 and 100 with a common factor as a multiple of a sum of two whole numbers with no common factor—e.g., 36+8 can also be expressed as 4 (9+2). Look for and express regularity in repeated reasoning Students come to realizations—“a-ha” moments is a good term for these realizations—about the math operations that they are performing and use this knowledge in subsequent problems. For example, a fourth-grader may realize that whenever an odd number is divided by an even number, there will be a remainder, which is something he or she can look for in future division problems. Look for and express regularity in repeated reasoning Students come to realizations—“aha” moments is a good term for these realizations—about the math operations that they are performing and use this knowledge in subsequent problems. For example, a sixth-grader might realize that 30 percent of a quantity is the same as 30/100 times the quantity. He or she can then use that knowledge when solving other problems involving percentages. A basic tenet of Common Core is to apply math principles to real-world situations. Why not start now? Give your child math problems when you are out and about— the grocery store, in traffic, the park, and so on. For example, if you are putting gasoline into your car, before you start dispensing the fuel, ask your fourth-grader how much money will be required to fill up your 15-gallon tank. Without a pencil and notebook to compute the answer, he or she might have to fall back on alternative math processes—processes that Common Core encourages—for a solution. This suggestion can be read two ways. First, students will be encouraged to show how they arrived at an answer (and beginning with fourth-grade math, some answers can be self-checked to see if they are correct), especially within Common Core. Second, ask your children to show you their homework, particularly the challenging stuff. 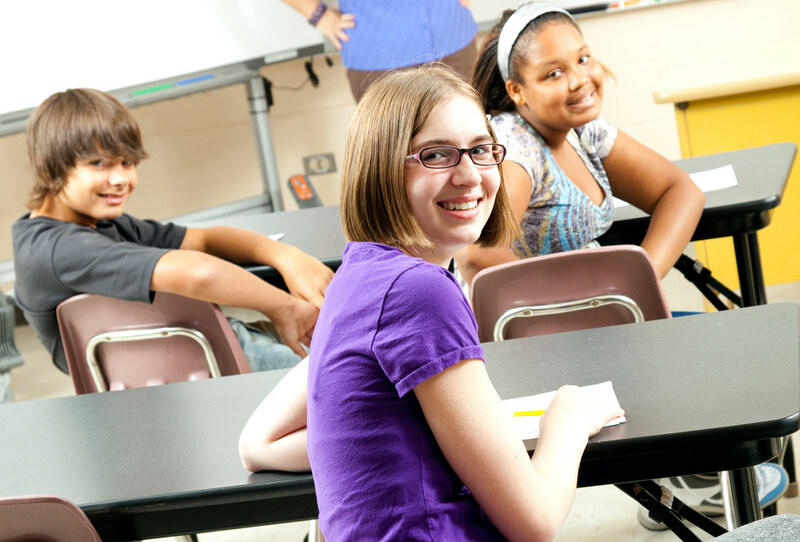 Explaining how a problem is solved is a basic CCSS tenet, so if your kids can be confident in explaining their work to you, they will carry that confidence into the classroom when the teacher asks for those same explanations. If your fourth-grader is struggling with the new math standards, talk with his or her teacher first. You then might want to seek outside resources to help your child. Several online resources provide math help, including worksheets and sample tests that conform to Common Core standards. Tutoring might be an option you consider as well. Innovative iPad-based math programs have emerged that combine the personalized approach of a tutor with today’s technology. This revolutionary approach also may feature a curriculum based on Common Core, thus ensuring your child’s learning at home is aligned with what he or she is learning at school. Identify all the equivalent ratios: For every 4 students who like Math in Victoria Public School, 8 like Chemistry. Steven saved $54 in 3 days. If he saved the same amount each day, how much money did he save in a day? Use a 2x multiplication table to write two equivalent ratios, a/c and b/d. Fill in the missing numbers. Write unit rate as a fraction in its simplest form Mason traveled 164 miles in 8 hours. If he traveled the same number of miles each hour, how many miles did he travel per hour? If the value of x is 10, the value of y is _ . Select the even number smaller than 5 and greater than -18. Identify the coordinates of the point Z. 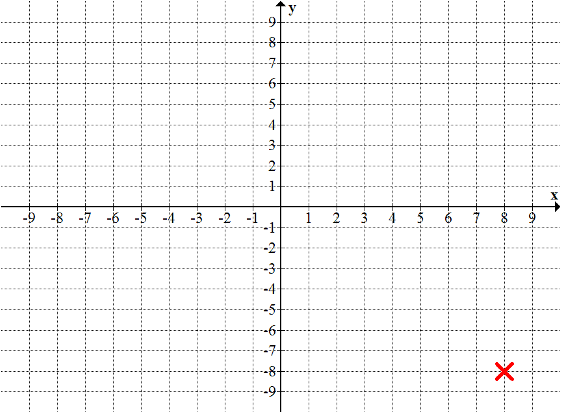 If the cross is reflected over the y-axis, give the coordinates of its reflected position. 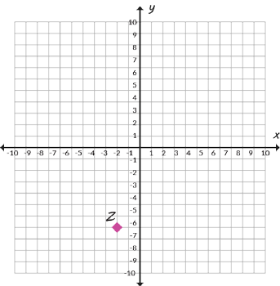 When the point B is reflected over the y-axis, in which quadrant will the reflected point, B’, lie? Fill in the missing number The distance between (4, -2) and (4, 3) is _ units. 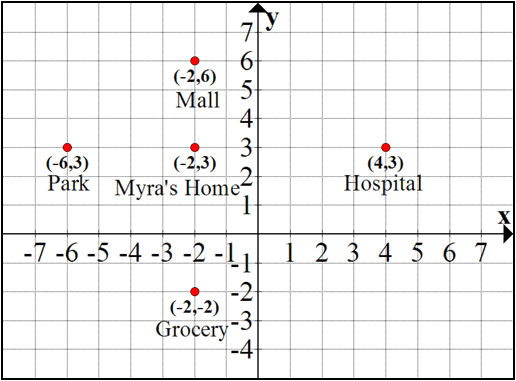 On the map of Jack’s neighborhood, Jack’s home is located at (5, 2). The park is located 3 units right of Jack’s home. What are the coordinates of the park? Which is the farthest from Myra’s home? The Highest Common Factor of 24 and 36 is _. 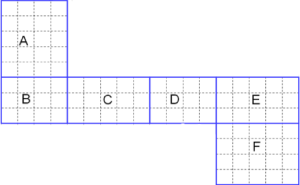 A set of tiles are put as a border of a room. Every third tile in the border is green and every fifth tile is checked. Which would be the first checked green tile? Express in an equation form: If 8 is subtracted from a number, the answer is 14. If a = -14 and b = 6, what is a x b? If (30+20) is expressed as 10(2+3), where 10 is the greatest common factor of 30 and 20, how can you express (24+28)? Mason bought toffees for $3 and z candies costing $0.25 each. Which expression gives the total amount spent by Mason? Select all the correct options: A shop sells a DVD for $8 and a CD for $4. Select the correct combinations that Mia would be able to buy if she has $40 dollars in hand. Is this statement true or false? When n is an integer less than 0, 10n > 1. Robert painted the walls and ceiling of two of his rooms. Each room measures 15 ft × 20 ft × 12 ft. How many rectangular faces did he paint? Does the net match the solid figure of a triangular pyramid? Which solid figure does the net represent? Scroll down to see all the options: Which other faces have the same area as B? Select all the correct options. What is the surface area of the net, in square inches, if each small square measures 1 square inch? A rectangular pyramid and its net are given. Fill in the missing number. The area of the net is _ cm². The area of one of the faces of a closed rectangular prism is 90 cm². The area of another face is 126 cm². If the area of the base is 35 cm², what is the surface area of the prism in cm²? Emily is building a tent in the shape of a square pyramid. The area of the base is 25 ft² and the side and height of each of the triangular faces is 5 ft. How much material, in ft², does Emily need to build the tent? 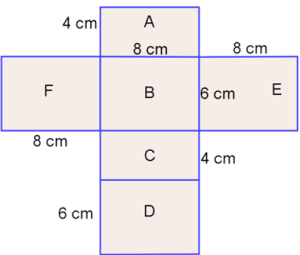 Perimeter of a rectangle is 58 cm and one side is 14 cm. Calculate the area in sq. cm. A cube and its net are given. Fill in the missing number. The area of the net is _ ft². 50 students of grade 5 are asked their ages. In which of these statements can you anticipate more variability? What is your age in months? Stella collected the price of DVDs sold at the neighborhood store. The dot plot represents the data she collected. Describe the shape of data distribution. The data has an outlier. Andrew asks five members of every age group attending the gym about the number of hours in a week they exercise. The Basketball team of Brentwood High School played 5 games in a tournament and their scores are depicted in the Box and Whisker plot. What was their highest score? 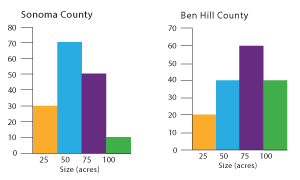 The sizes of farms (in acres) in Sonoma County and Ben Hill County are depicted in the histograms. There are _ more 50-acre farms in Sonoma County than in Ben Hill County. An ice-cream store recorded the different types of icecreams sold in a day. 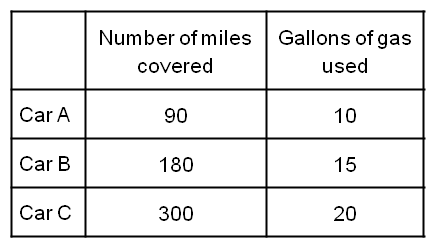 The table shows the data. 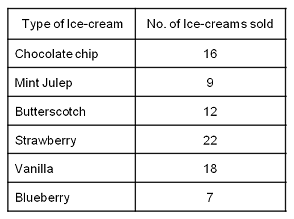 How many Vanilla ice-creams were sold? What is the effect of the outlier on the mean? The outlier decreases the mean. The outlier has no effect on the mean. Fill in the missing number The time (in seconds) taken by 10 contestants to complete a puzzle was recorded. The mean increases by _ seconds when outlier is included. The line graph represents the price of stationery items at a departmental store. Eva is taking French classes. The following are the number of new words learned by her over a period of 10 days. The range of the of the data is _ .